Kick off your visit on the 21st (Fri): take in the architecture and atmosphere at Iglesia y Convento de San Francisco. You can plan Lima trip in no time by asking Inspirock to help create your itinerary. Monterrey, Mexico to Lima is an approximately 16-hour flight. The time zone difference when traveling from Monterrey to Lima is 1 hour. In June, daily temperatures in Lima can reach 24°C, while at night they dip to 20°C. Wrap up your sightseeing on the 23rd (Sun) early enough to take a bus to Ica. On the 23rd (Sun), take in breathtaking views at Canon de los Perdidos, see the interesting displays at Regional Museum of Ica, and then learn about winemaking at Tacama. Get ready for a full day of sightseeing on the 24th (Mon): contemplate the waterfront views at Laguna de Huacachina, then get the adrenaline pumping with an extreme tour, then do a tasting at El Catador, and finally don't miss a visit to Plaza de Armas. To see other places to visit, traveler tips, and tourist information, refer to the Ica tour itinerary tool . You can take a bus from Lima to Ica in 4 hours. Another option is to drive. Traveling from Lima in June, plan for little chillier nights in Ica, with lows around 17°C. Finish your sightseeing early on the 24th (Mon) so you can travel to Arequipa. Kick off your visit on the 25th (Tue): explore the striking landscape of Salinas y Aguada Blanca National Reserve. Here are some ideas for day two: browse the exhibits of Cathedral of Arequipa Museum, contemplate the long history of Historic Centre of Arequipa, examine the collection at Monasterio de Santa Catalina, contemplate in the serene atmosphere at Church of San Agustin, then see the interesting displays at Monasterio de la Recoleta, and finally appreciate the extensive heritage of Iglesia de la Compania de Jesus. To find reviews, more things to do, traveler tips, and more tourist information, use the Arequipa day trip planning site . Traveling by combination of bus, taxi, and flight from Ica to Arequipa takes 7.5 hours. Alternatively, you can drive; or take a bus. Traveling from Ica in June, you can expect nighttime temperatures to be little chillier in Arequipa, with lows of 9°C. You'll have a few hours on the 27th (Thu) to wrap things up before traveling to Cabanaconde. A vacation in Cabanaconde provides visitors with an opportunity to explore the left bank of the Colca River, an area quite untouched by commercial tourism. Here are some ideas for day two: pause for some serene contemplation at Immaculate Conception Church, look for gifts at Q'olca by Made in Colca, then take in the awesome beauty at Condor's Cross, and finally get great views at Mirador Achachiua. 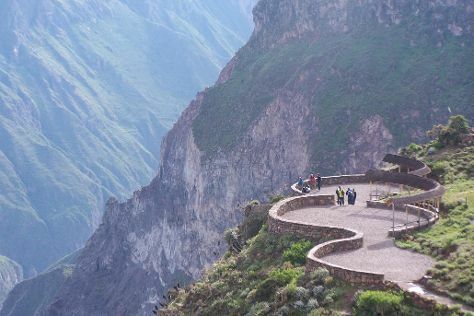 To see traveler tips, ratings, other places to visit, and more tourist information, you can read our Cabanaconde trip itinerary planner . Traveling by car from Arequipa to Cabanaconde takes 4.5 hours. Wrap up your sightseeing on the 30th (Sun) early enough to travel to Ollantaytambo. Kick off your visit on the 30th (Sun): examine the collection at Choco Museo. 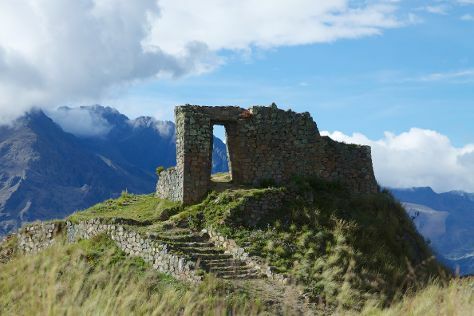 Here are some ideas for day two: explore the ancient world of Inca Quarries, take some stellar pictures from Intipuncu, and then explore the striking landscape at Salinas de Maras. To find where to stay, reviews, ratings, and other tourist information, go to the Ollantaytambo journey builder website . Traveling by car from Cabanaconde to Ollantaytambo takes 10.5 hours. Expect a daytime high around 24°C in June, and nighttime lows around 1°C. Finish your sightseeing early on the 2nd (Tue) so you can drive to Cusco. Kick off your visit on the 3rd (Wed): let the river carry you with a rafting and tubing tour, then look for all kinds of wild species at Santuario Animal de Cochahuasi, and then explore the ancient world of Tambomachay. On the 4th (Thu), you'll have a packed day of sightseeing: delve into the distant past at Tipon, delve into the distant past at Q'enqo, then examine the collection at Pre-Columbian Art Museum, and finally explore the ancient world of Sacsayhuaman. For traveler tips, more things to do, reviews, and other tourist information, read our Cusco trip planner . You can drive from Ollantaytambo to Cusco in an hour. Alternatively, you can take a bus. Expect a daytime high around 24°C in July, and nighttime lows around 1°C. Finish your sightseeing early on the 4th (Thu) so you can travel to Copacabana. You'll explore the less-touristy side of things at Isla del Sol and Isla De La Luna. Deepen your sense of the past at sights like Copacabana Cathedral and Cerro Calvario. There's lots more to do: stroll through Horca del Inca, make a trip to Avenida 6 de Agosto, examine the collection at Museo del Poncho, and stop by The Spitting Llama Bookstore & Outfitter. For other places to visit, traveler tips, and other tourist information, you can read our Copacabana travel route website . Explore your travel options from Cusco to Copacabana with the Route module. The time zone difference moving from Peru Time (PET) to Bolivia Time (BOT) is 1 hour. On the 7th (Sun), you'll have the morning to explore before heading off to La Paz. Kick off your visit on the 8th (Mon): examine the collection at Museum of Musical Instruments - Museo Instrumentos Musicales de Bolivia, see the interesting displays at National Museum of Ethnography and Folklore, have fun at Urban Rush Bolivia, then stroll through Chacaltaya Ski Resort, and finally don't miss a visit to Calle Sagarnaga. Here are some ideas for day two: take in the architecture and atmosphere at Catedral Basilica Menor de Nuestra Senora de la Paz, then take in the spiritual surroundings of Iglesia de San Francisco, and then take in the awesome beauty at Huayna Potosi. To see other places to visit, reviews, where to stay, and tourist information, go to the La Paz trip builder website . Getting from Copacabana to La Paz by car takes about 2.5 hours. Other options: take a bus. Expect a daytime high around 17°C in July, and nighttime lows around -4°C. 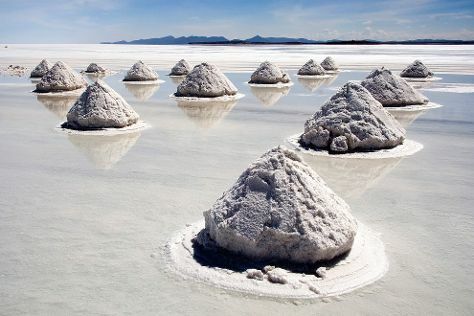 Wrap up your sightseeing on the 9th (Tue) early enough to travel to Uyuni. Escape the urban bustle at Isla Incahuasi and Tunupa Volcano. Step off the beaten path and head to Climbing Tours and Museo de la Llama y la Sal. And it doesn't end there: take in the dramatic natural features at Salar de Uyuni, don't miss a visit to Plaza Arce, and examine the collection at Train Cemetery. To see traveler tips, maps, ratings, and more tourist information, you can read our Uyuni travel route planner . Traveling by combination of flight and taxi from La Paz to Uyuni takes 4 hours. Alternatively, you can drive; or do a combination of bus and taxi. When traveling from La Paz in July, plan for slightly colder days in Uyuni, with highs around 4°C, while nights are somewhat warmer with lows around 3°C. On the 13th (Sat), you'll travel to San Pedro de Atacama. Kick off your visit on the 14th (Sun): see the interesting displays at Museo del Meteorito, look for all kinds of wild species at Wildlife Areas, then witness a stunning natural landmark at Geyser del Tatio, and finally trek along Piedras Rojas. Get ready for a full day of sightseeing on the 15th (Mon): explore the ancient world of Pukara de Quitor, then identify plant and animal life at Valle Arcoiris, and then contemplate the waterfront views at Laguna Chaxa. To find reviews, other places to visit, where to stay, and more tourist information, read San Pedro de Atacama trip planner . Traveling by combination of car and bus from Uyuni to San Pedro de Atacama takes 11.5 hours. Alternatively, you can drive; or do a combination of car, train, and bus. When traveling from Uyuni in July, plan for much warmer days in San Pedro de Atacama, with highs around 25°C, while nights are a bit cooler with lows around 0°C. Finish your sightseeing early on the 16th (Tue) so you can travel to Valparaiso. Get a sense of the local culture at La Sebastiana and Moai. Step off the beaten path and head to Paseo Gervasoni and Humedal Rio Maipo. 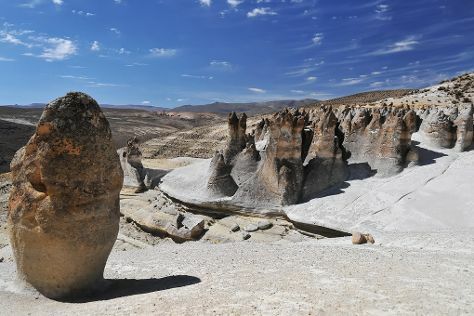 Get out of town with these interesting Valparaiso side-trips: Canopy El Canelo (in Algarrobo), Casablanca (Casablanca Valley & Vina Casas del Bosque) and Quebrada de Cordoba (in El Tabo). The adventure continues: look for all kinds of wild species at Posada del Parque. For maps, where to stay, traveler tips, and other tourist information, read our Valparaiso vacation maker website . Traveling by combination of shuttle and flight from San Pedro de Atacama to Valparaiso takes 6.5 hours. Alternatively, you can do a combination of bus, flight, and shuttle; or drive. When traveling from San Pedro de Atacama in July, plan for little chillier days in Valparaiso, with highs around 17°C, while nights are a bit warmer with lows around 9°C. Cap off your sightseeing on the 19th (Fri) early enough to travel to Mendoza. Kick off your visit on the 20th (Sat): head outdoors with Millanti Viajes, examine the collection at Muestra Integral Pasado Historico, then contemplate in the serene atmosphere at Catedral San Rafael Arcangel, and finally examine the collection at Benelli Museum. Get ready for a full day of sightseeing on the next day: skim along the rocks with a canyoning and rapelling tour and then learn about winemaking at Bodega DiamAndes. To find more things to do, photos, traveler tips, and other tourist information, go to the Mendoza trip itinerary planner. Traveling by combination of shuttle, flight, and bus from Valparaiso to Mendoza takes 8.5 hours. Alternatively, you can do a combination of subway and bus; or take a bus. The time zone difference moving from Chile Time to Argentine Time is 1 hour. Traveling from Valparaiso in July, Mendoza is little chillier at night with lows of 1°C. Wrap up your sightseeing on the 21st (Sun) early enough to travel to Cordoba. Satisfy your inner culture vulture at Museo Historico UNC Manzana Jesuitica and Iglesia de Los Capuchinos. Escape the urban bustle at Calamuchita Valley and Parque del Kempes. Go for a jaunt from Cordoba to Tanti to see Reserva Natural Cascada Los Chorrillos about 1h 25 min away. The adventure continues: steep yourself in history at El Paseo Buen Pastor, see the interesting displays at Museo Emilio Caraffa, and head outdoors with La Canada de Cordoba. To find maps, other places to visit, photos, and tourist information, go to the Cordoba online driving holiday planner . Getting from Mendoza to Cordoba by combination of bus and flight takes about 6 hours. Other options: fly; or take a bus. When traveling from Mendoza in July, plan for slightly colder days in Cordoba, with highs around 15°C, while nights are warmer with lows around 15°C. Cap off your sightseeing on the 24th (Wed) early enough to go by car to Rosario. Start off your visit on the 25th (Thu): examine the collection at Museo de Arte Decorativo Firma y Odilo Estevez, then get outside with Alem Park, then stroll through La Florida, and finally examine the collection at Museo Historico del Convento San Carlos. Get ready for a full day of sightseeing on the 26th (Fri): contemplate in the serene atmosphere at Parroquia Nuestra Senora de Arantzazu, then learn about winemaking at BordeRio Bodega & Vinedos, and then take in the architecture and atmosphere at Basilica catedral de Nuestra Senora del Rosario. For photos, traveler tips, and more tourist information, read our Rosario route planner . Traveling by car from Cordoba to Rosario takes 4 hours. Alternatively, you can take a bus; or fly. While traveling from Cordoba, expect somewhat warmer days and a bit cooler nights in Rosario, ranging from highs of 19°C to lows of 7°C. On the 27th (Sat), wrap the sightseeing up by early afternoon so you can drive to Buenos Aires. Deepen your sense of the past at sights like Plaza de Mayo and Catedral Metropolitana. Museum-lovers will appreciate Museum of Latin American Art of Buenos Aires and Museo Nacional de Bellas Artes. Go for a jaunt from Buenos Aires to Lujan to see Basilica de Lujan about 1h 30 min away. 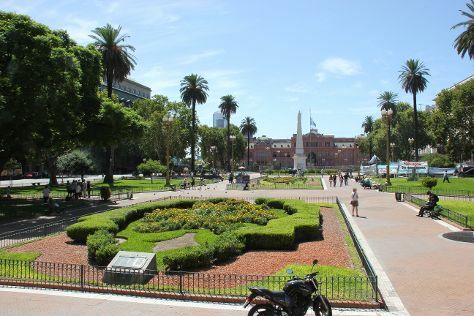 There's lots more to do: admire the natural beauty at Parque 3 de Febrero, take a stroll through San Telmo, get a sense of history and politics at Casa Rosada, and appreciate the extensive heritage of La Boca. To see reviews, ratings, maps, and other tourist information, read Buenos Aires attractions planner . Traveling by car from Rosario to Buenos Aires takes 3 hours. Alternatively, you can take a bus; or fly. July in Buenos Aires sees daily highs of 17°C and lows of 10°C at night. 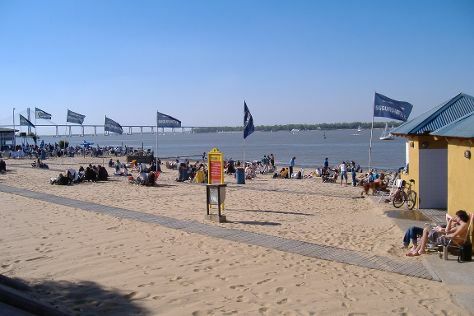 Cap off your sightseeing on the 30th (Tue) early enough to catch the ferry to Montevideo. Start off your visit on the 31st (Wed): take in the local highlights with Walking tours, then admire the masterpieces at Palacio Taranco, then grab your bike and head to Orange Bike, and finally don't miss a visit to Iglesia de las Carmelitas. To see ratings, maps, other places to visit, and other tourist information, read Montevideo travel planner. Traveling by ferry from Buenos Aires to Montevideo takes 2.5 hours. Alternatively, you can fly; or take a bus. 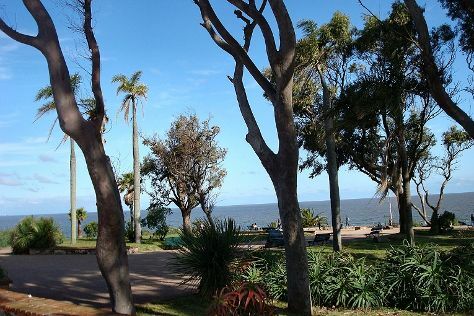 In July, daily temperatures in Montevideo can reach 18°C, while at night they dip to 7°C. Wrap up your sightseeing by early afternoon on the 1st (Thu) to allow time for travel back home.